Arsenal has made its first signings of the transfer window – in the form of three UK start-ups. Launched back in September 2017 with early-stage investor L Marks, the innovation lab received over 250 applications, with 22 of those businesses invited to pitch their ideas at a “Dragon’s Den” style event in November. Six start-ups in total were then selected to move forward to the 10-week programme, of which three are UK-founded. At the end of the programme, the club will assess whether to make further investment to finalise and progress the ideas. Peak: A data analytics company based in Manchester that will focus on helping Arsenal grow using data and artificial intelligence. Founded in 2014, it has grown rapidly and, in 2015, won Tech North’s Northern Stars competition as a ‘top tech startup in the UK’. WoraPay: A mobile ordering and payment technology company. 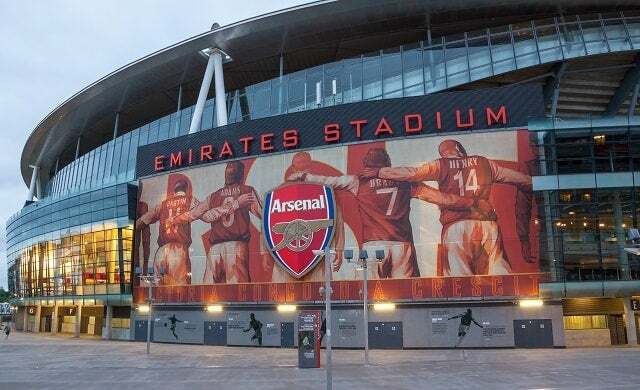 On the programme they will focus on helping Arsenal improve the matchday experience for supporters by allowing them to place orders, make payments and have their food and beverage delivered. Based in London, WoraPay’s tech is already being distributed to UK retailers by the Lloyds Banking Group and Mastercard. I like that: A London-based start-up that offers a complete and on-demand retail experience where users can purchase directly from international media sites, including Arsenal.com, without having to navigate to the club’s e-commerce store, ArsenalDirect.com. It also provides a revenue stream for publisher websites. “We are really looking forward to working with these six exciting startups over the next 10 weeks and hopefully beyond. “Innovation has always been at the heart of the club since its formation in 1886. “Our aim is to create better experiences for our supporters all around the world, from retail experiences to digital content. “We have selected six fantastic companies developing some truly innovative products, ranging from AI to smart payments and augmented reality. Rio Ferdinand, former Manchester United and England centre back, gives his best bits of entrepreneurial advice. Click here to read. How Tottenham Hotspur’s new stadium will help small businesses. Click here to read.